Clash Royale officially announced the elite barbarians today, confirming the leaked update that was leaked a few weeks ago. It seems as iff all the cards leaked will be updated in the game, starting with the elite barbarians. 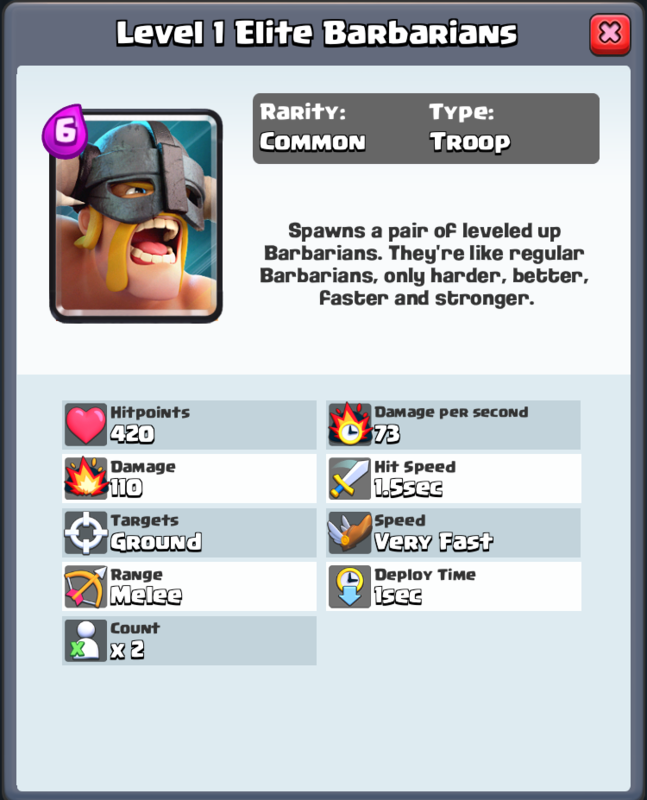 So if we check out these stats, we begin to wonder, are these barbarians really worth 6 elixir? They are much stronger than the normal barbarians, but remember, there are only 2 of them. Here are the stats of elite barbarians compared to regular barbarians. So while there is a clear difference between the two, I think elite barbarians are too few in number and too expensive to really be of any use in Clash Royale. Of course, only time will tell, but personally, I can’t see myself using these. Thanks for reading and come back tonight for some tornado strategy and decks!